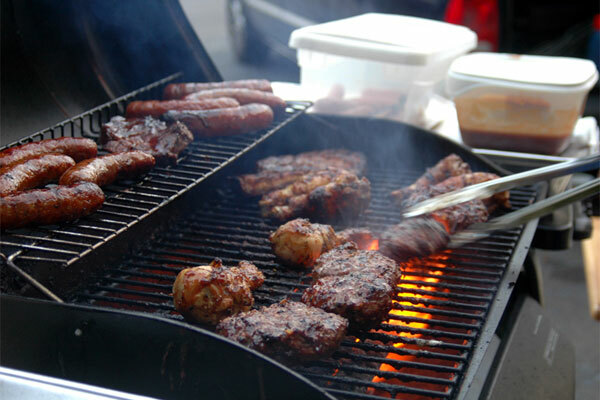 - Get ready to grill on the Fourth by visiting Nature’s Pantry today (Friday) from 2:00 p.m. to 6:00 p.m., as Over the Moon Farms will be there selling locally produced hotdogs, sausage, bacon, chickens, and ribs. In addition, Fedderolf Family Farm will be selling local hamburger patties for just $5.49 a pound. - Beer fans, time to hit the road to Somerset for the Frosty Mugs of Thunder Brewfest, held Saturday from 4:00 p.m. to 8:00 p.m. at the Somerset Historical Center. At the event you can find local food, live music, and of course, great beer. - Head out to Tait Farm Saturday from 2:00 p.m. to 4:00 p.m. for a seminar on great picnic foods. Learn how to make picnic food that is simple, healthy, and delicious. - The Boalsburg Farmers Market will have special Fourth of July hours next Tuesday. They will run from 11:00 a.m. to 3:00 p.m., not 2:00 p.m. to 6:00 p.m. Find all sorts of great stuff to make/take to your July 4th barbeques, including Elk Creek Aleworks growlers.